All room rates are for up to 6 hours of use. Additional setup, food or equipment fees will be added as needed. *All fees are subject to 20% service charge and applicable tax with food service. Rates are $14 per guest (minimum of 25) plus 20% service charge (this calculates room charge). 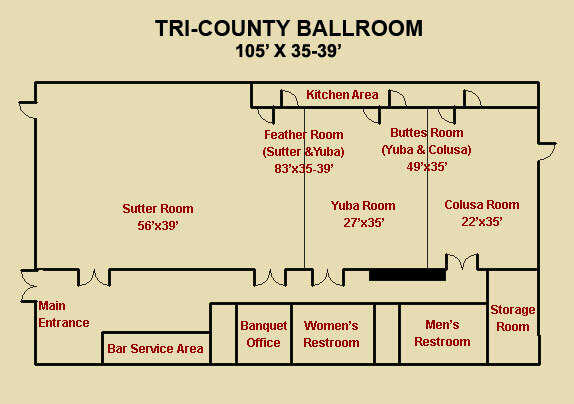 *All liquor is provided by the Bonanza Inn Yuba City Convention Center. Exceptions with beer kegs with a jockey box, and wine and champagne – subject to charges.